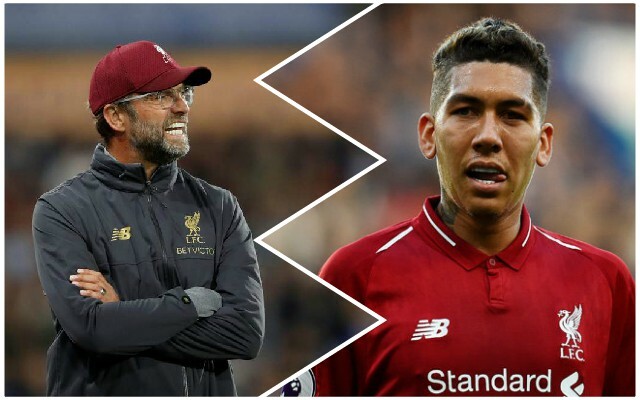 Jurgen Klopp has explained his decision to leave Roberto Firmino out of the starting XI for the game against Huddersfield, suggesting that the Brazilian’s international exertions played a part. Daniel Sturridge started the game in his place, with Firmino coming on as a substitute for the final few minutes. According to The Express, Klopp said: “The Brazilians came back on Thursday. Bobby played 90 minutes [for Brazil] so it was clear maybe we should not do it this time. It is likely that Firmino will be back in the XI for Wednesday’s Champions League game against Red Star Belgrade, given that Sturridge is unlikely to play again so soon given his previous injury record. It is nice, though, to have the option of having the quality in reserve and being able to give Firmino a rest when he needs one.